Picked up a replacement keyboard yesterday. Previous one was causing quite a bit of aggravation with the amount of typos due to bounce and non-registered presses. The quirks of an old mechanical keyboard. Well, it wasn't that old, maybe about 2 years? It's a known issue with those switches though, especially their susceptibility to dust ingress. Despite cleaning out the switches the problem persisted. This new one certainly feels quite different with its linear actuation. It's a hell of a lot quieter too as the last one used Cherry MX Blue. Had a great weekend finished the Type 3 Chi-Nu with 63% win rate and plenty of carries too. Tier 5 always felt very nice. Been playing lots of lower tier making use of the bonuses to get past all the tier 1, 2 and 3 tanks in all nations. Finished most of tier 4 as well. Time to start T67 today. 3 games in an I don't find it Op at all, i mean i am the guy who aced M3 lee, Grant and Amx40 (yep the duck) but maybe when fully upgraded it might be better. 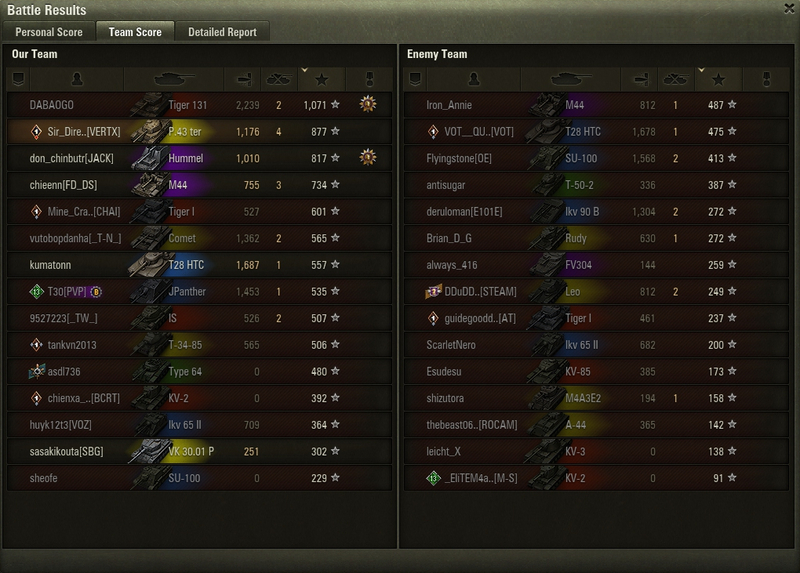 Having a blast with Tankful in a few Luchs platoon games at the end of the night last night. Raised the ire of a trouser loving seal clubber. Out of 9.8k games, 3.5k are in the M2 Light, with another 1.5k in the T127. Mmmmm seal clubber salt best salt! What a fabulous end to a fun session. So started playing arty for the first time in 27k battles for missions. On about the 3rd day playing since, I got my first post match bitching pm that I am an arty lover scum. I guess my journey to the dark side is complete. Arty is a very slippery slope to the dark side indeed. In fact, I think that Palpatine could've turned Anakin into Vader faster had he just taught him how to play arty. Well, I made a few people chuckle with the ending of this. True! First I started on SPGs, now I'm playing JP HTs. 'Type 5 Heavy' successfully purchased. Spent credits: 6,100,000. That's the final girl I needed to crew the BC 25t AP. All I need now is the BC 25t AP. Researched: ISU-152 researched. Undistributed experience spent: 75000. Free Experience spent: 0. Purchased: 'ISU-152' successfully purchased. Spent credits: 1,764,000. Also picked up another CNY camo, and earned the vents from the on track. Edited by Sir_Direkin, 12 February 2019 - 08:52 PM. This is an awfully necrotic thread, innit? My LT-432 crew also has one of those. I mean, the fact that it has functional armour is a selling point. I'm trying to remember the silliest tank I've gotten a Steel Wall in though. It's definitely something with way less armour than a 432. A Lorraine 40t? Some SPG? The simpler things in life. Like having a good game to retire this tank on. 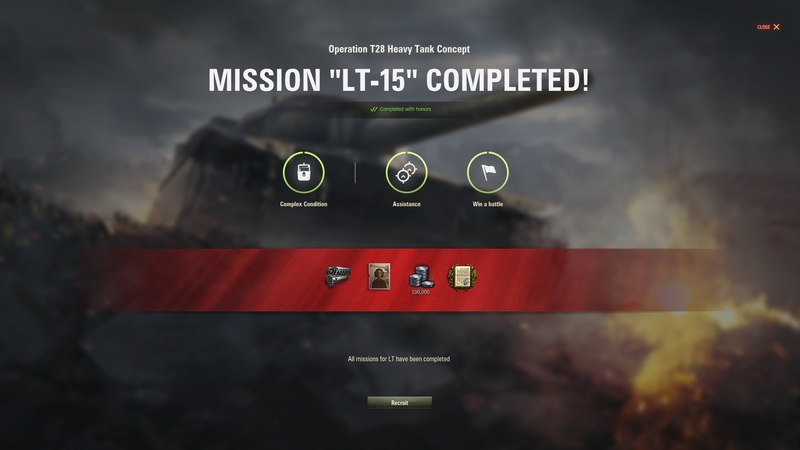 Only needed 4k exp to free exp the top turret on the P.44, and got that in one game. And this certainly went a lot better than the other time I played that map (from a couple days ago). Now the only reason I'll go back to that is if I feel the need for self-flagellation. Shame I never picked up mastery on that. The best game on that so far was 1,205 base exp. That's a lot of mods Direkin. Do you need all that info? Yeah it has armour but its pretty rare for a light tank to block more than the heavies. I should have taken a screenshot of my team but we had some super heavies. This is from my old account back when being tracked counted as blocked damage. From memory I took a couple of Jpz heat rounds to the tracks. Edited by Dieselnuts, 15 April 2019 - 02:19 AM. Agree. What's really the main thing isn't the raw armour value but how flat/sloped the little [edited] is. Combine that with our server's level of goldspam and gold rounds frequently being APCR, well, you'll get some stupid bounces for sure. One of my favourite 432 games I can recall was on Ensk, which I normally hate, but I was in the rail lanes and was able to go back and forth shooting over perfect-height flatcars while the enemy only had the top half of my turret as a target. No steel wall, but I bounced a stupid amount of shots that game. Edited by FramFramson, 15 April 2019 - 02:47 AM. You guys got me all curious. Went to look up my silliest Steel Walls. Edited by FramFramson, 15 April 2019 - 03:16 AM. It's mostly window dressing. 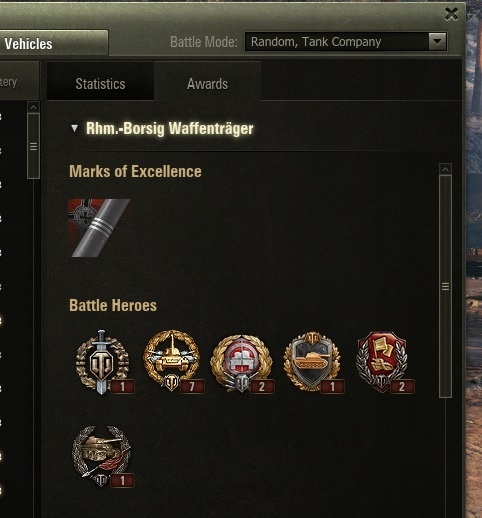 I don't like the vanilla tank icons, and prefer being able to see what tanks are on the field at a quick glance, rather than trying to decipher the symbols. Colour coded for convenience, and all that. Likewise I prefer 3rd party damage logs over vanilla. For some reason the vanilla one is still active even though I've switched it off. The speedometer was a new addition to the mod pack. Don't really need it, but not distracted by it. 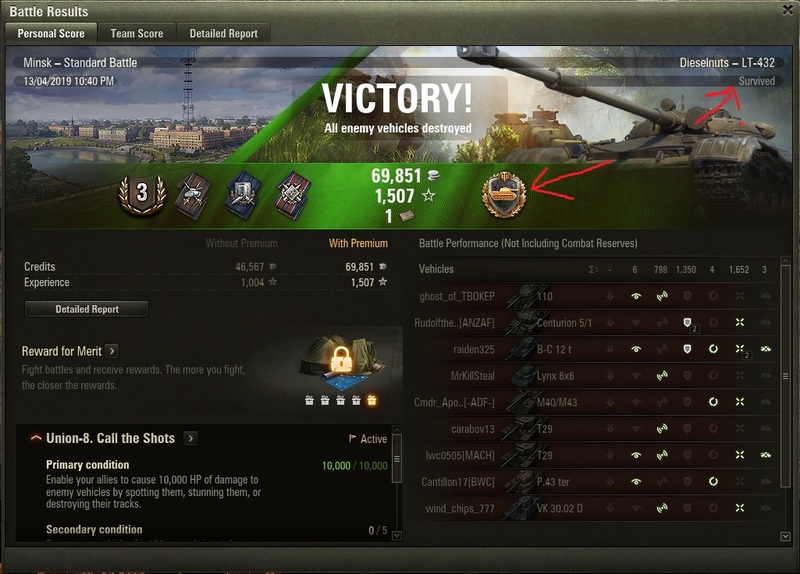 The aim timer I only look at when playing arty; let's me know how many books I can read while I wait for arty to aim. It has confirmed my suspicions that French arty (BC 155 51) has an aim time MUCH longer than what the stats panel shows (by about double). 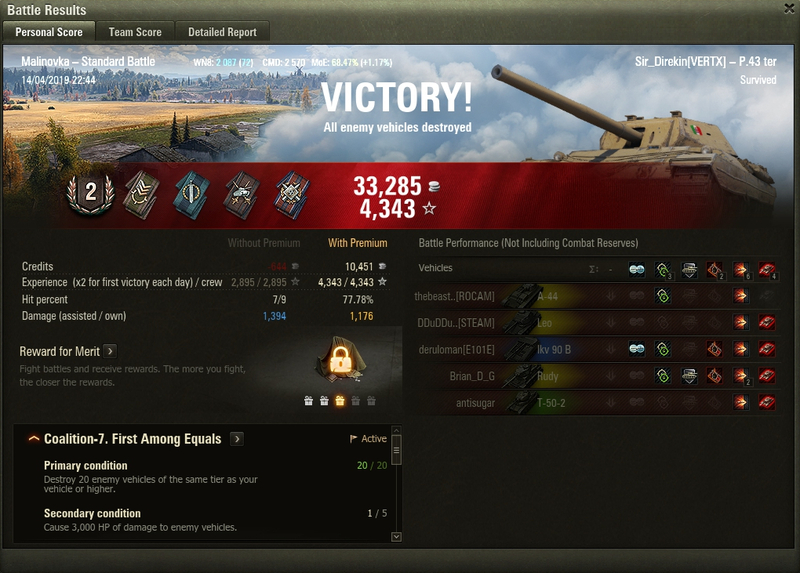 I hardly touch arty now as it is (basically only playing the FV3805 now and then), so not really that useful. The reticle I find is neater/cleaner than vanilla, while also being more visible than some of the other vanilla options; it just works for me. Server reticle is a server reticle. When there are moments of lag, it'll let me know about it. WN8 and MoE indicators just give me some on-the-fly measure of performance (as I want to try and at least maintain an average, and ideally push above that). Tank status and consumables areas all show exactly the same info, just neater. I also prefer the health bar being right there than off to the side. Network status I only look at when it 'feels' like there's something wrong. Oh yes, and the hit point pool; useful for breaking any deception that we may be winning when in fact we may just have a lot of tanks at very low health, so don't end up surprised when those kill numbers suddenly change drastically, and vice versa (like today when we were 6-9, some people were giving up and slagging off the team, and within 30 seconds that flipped to 13-10, leading to a win).